Teachers – save instructional time by adding links your class is using to the webpage. 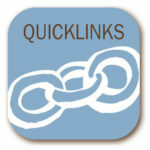 Just create a post with the category “curriculum quick links”. Please be sure to enter an expiration date. Your post will appear on this page.